No one should be too surprised given the Kriseman efforts to push this disaster through the process and get the old Pier torn down. 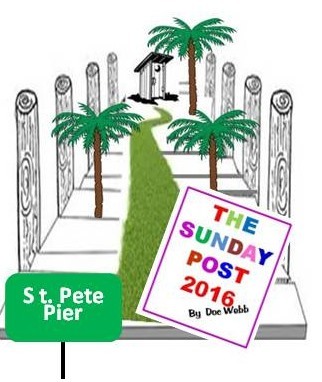 The long-awaited St. Pete Pier Design proposal is here, and I bet you thought it would actually resemble the design the Kriseman administration crammed down your throat. My original graphic was closer than I ever dreamed. This thing looks like an outhouse on stilts. Tampa Bay Times Waverly Ann More asked the $46 million question in her article Is the new pier design what City Council approved? Will Kriseman's fellow Democrats fall in line with the Mayor praising the new design as what the people want or will someone have the courage to blow the whistle on this mess and go back to the drawing board? Their answers will be interesting. Where was the City staff responsible for this project during this process? It does not take a rocket scientist to figure out this design is going to be a serious problem with the public and reopen some old wounds. Unless I miss my guess, Kriseman and his team are in for some rough meetings as the public process goes forward. Will Nonsense or Common Sense prevail?